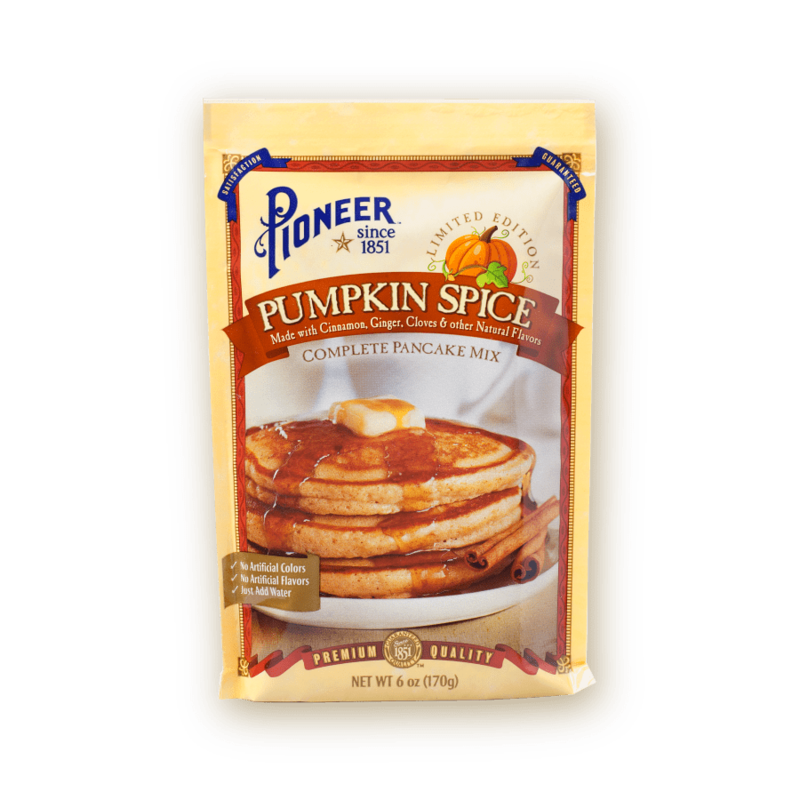 Indulge in the warm flavors and the beloved spices of fall with Pioneer Pumpkin Spice Pancake Mix. These festive, expertly crafted pancakes are easy to make and sure to impress. A few minutes is all it takes to serve a breakfast that fills bellies with the joy of a thankful and heart-warming season. IN a large bowl, whisk together first 4 ingredients. 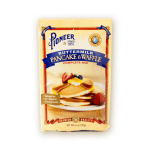 ADD Pioneer Pumpkin Spice Pancake Mix, walnuts, and cranberries and fold together. TRANSFER batter to a greased loaf pan and bake for 25-30 minutes or until a toothpick comes out clean when inserted in center. 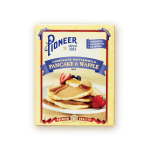 CONTAINS LESS THAN 2%: PUMPKIN, CINNAMON, MOLASSES, GINGER, CLOVES, SALT, BAKING SODA, CORN SYRUP SOLIDS, MONOCALCIUM PHOSPHATE, SODIUM ALUMINUM PHOSPHATE, FOOD STARCH-MODIFIED, SODIUM CASEINATE, GUAR GUM, NATURAL FLAVORS, MONOGLYCERIDES.